With "I" entering the coveted ₨ 100 crore club, the film's lead actor Vikram and director Shankar threw a big bash at a star hotel where actor V‍ijay was also spotted. 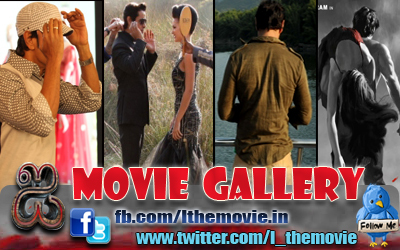 The trio was seen along with their respective families; the film's technical team was also present. Vijay and Shankar were engaged in long conversation and the buzz is that they might collaborate on a future project. 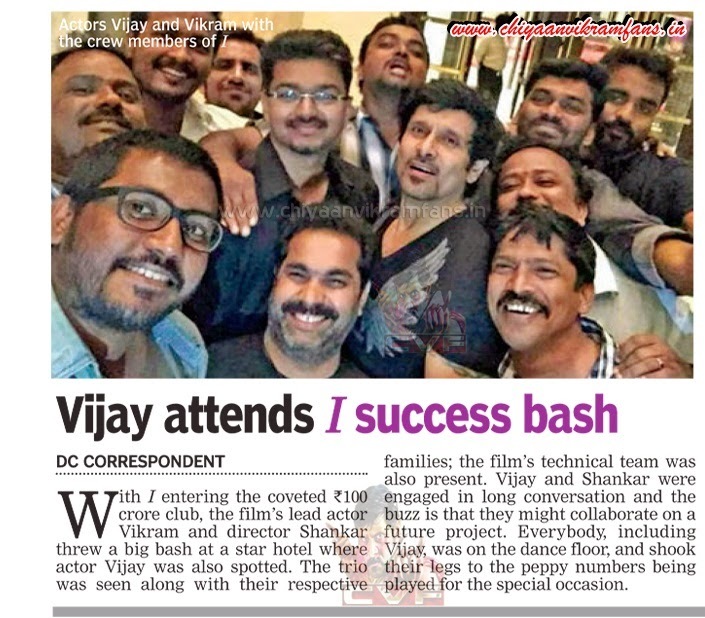 Everybody, including Vijay, was on the dance floor; and shook their legs to the peppy numbers being played for the special occasion.